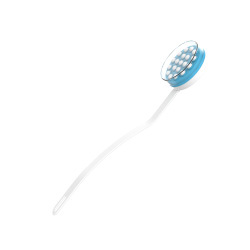 Keep skin in hard to reach areas smooth and supple with the Roll-On Lotion Applicator and Massager by Remedy. The head of this applicator features 19 roller balls that provide a smooth, even layer of moisturizer, sunscreen or shower gel while simultaneously massaging sore and tense muscles. The long handle allows you to apply creams, lotions and oils to hard to reach areas like your back, neck or legs without having to squirm or twist, making it ideal for those with limited mobility. The included cover provides an airtight seal to keep the applicator’s reservoirs from drying out or leaking between uses. The handle also features a hole that allows you to hang up the applicator for easy and convenient storage. This roll-on applicator can be used in the shower, bath, to apply moisturizer when you’re done washing or for putting on sunscreen while outside at the pool or beach. 19 MASSAGING ROLLERS- The head of the applicator features 19 roller balls. This applies a smooth, even layer of moisturizer, sunscreen or shower gel. The roller balls also massage sore and tight muscles to help you relax. AIRTIGHT COVER- The included airtight cover lid easily snaps onto and tightly seals the applicator head. This keeps the lotion reservoirs from drying out or leaking between uses, ensuring reliable application time after time. 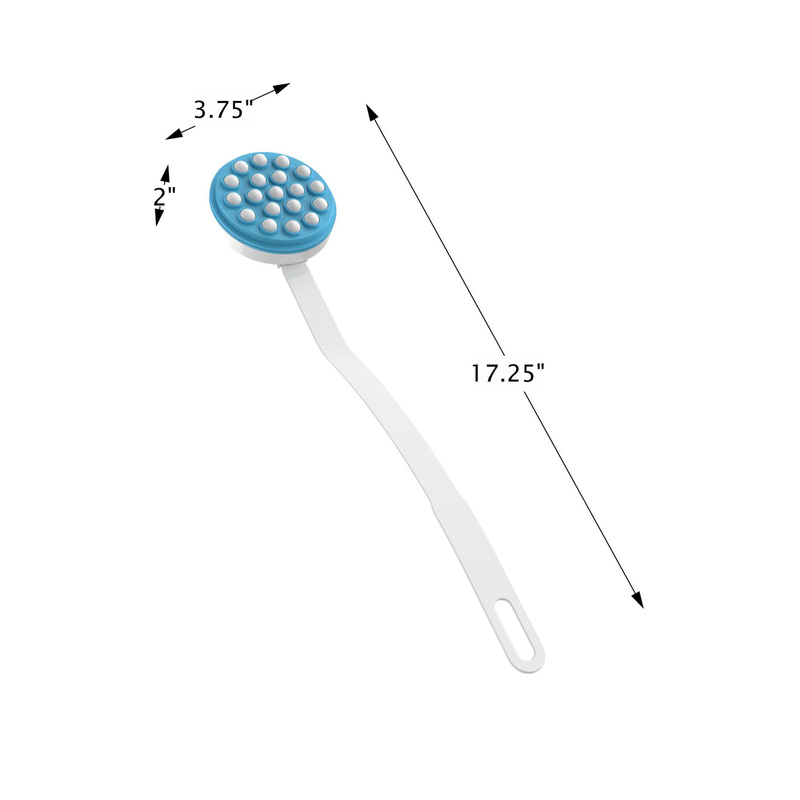 EXTRA LONG HANDLE- The handle of this lotion applicator measures 17.25 inches long. This allows you to apply creams and gels to hard to reach areas, such as the back, without twisting or squirming, making it ideal for those with limited mobility. WET OR DRY APPLICATION- This rolling applicator can be used with lotions, sunscreen or shower gels. You can use it in the bath, shower, to apply lotions when you’re done washing or sunscreen while outside at the pool or beach. PRODUCT DETAILS- Materials: Polypropylene. Dimensions: 17.25” L x 3.75” W x 2” H. Color: Blue and White.